The information was posted to Reddit (via Kotaku) by the same tipster who accurately leaked previous DLC pack, Rebellion. As expected, BioWare's controversial Extended Cut DLC will better detail the effects of your final choice on the Mass Effect galaxy. "Mass Effect 3: Extended Cut: An expanded ending for Mass Effect 3. Additional scenes and an extended epilogue reveal the impact of Shepard's choices on the future of the galaxy." Various Mass Effect 3 voice actors have recently tweeted about recording dialogue for the new scenes. Returning characters include Kaiden Alenko, EDI and Admiral Hackett. BioWare previously listed the download for a "summer" release. Another multiplayer expansion, Earth, is also on the way. It will introduce six new human N7 classes, three maps and an arsenal of extra weaponry. "Mass Effect 3: Earth: The fighting is fiercest when it's your home at stake! 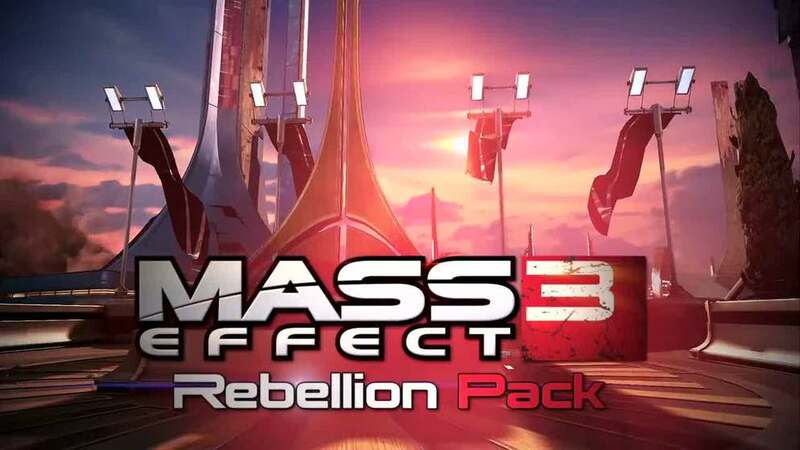 Mass Effect 3™: Earth adds mods, gear, and new maps for Rio, Vancouver, and London. It features 3 new weapons: Piranha assault shotgun, Acolyte pistol, and Typhoon light machine gun. Six new human N7 classes are also available: Destroyer, Paladin, Demolisher, Slayer, Shadow, and Fury!"